Often, the first step in a larger digital transformation plan is mobility: the use of mobile apps and devices to improve productivity. But it might not be practical to overhaul all your systems and processes at once. You might prefer a gradual adoption, and to take your time and learn about technologies before implementing them. Paper is slow. Even just storing paper - printing and filing - is much slower than storing files digitally. Digital files are also more environmentally friendly than paper, which is a growing concern, especially when you’re dealing with a lot of files. In addition, paper can be lost or damaged much easier than digital files. And if you’re storing files on a cloud server (or your own server), the data is much more accessible than paper files. Think about all the paper you’re still using in your business, especially paper forms. Imagine if you could take all those paper forms and not just digitize them, but make them accessible on mobile devices. Imagine how much easier that would make things like quality assurance, inventory management and logistics. Businesses that are slow to adapt end up suffering many drawbacks: losing customers and contracts, taking longer to complete orders, and less profits. Mobility helps you speed up your business processes—but it can also help your adapt better to change. Say, for example, you’re on a sales call. 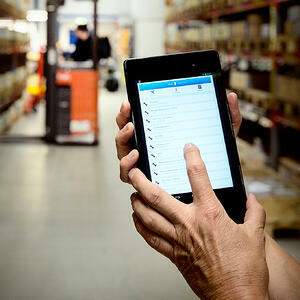 If you have mobile apps to manage sales and inventory, you can close the sale right away. But if you have to check things back at the office before closing the sale, you could lose the sale altogether. Adaptability means you business can handle things outside the ordinary, like custom orders and rush sales. The ability to do these things means you’re able to offer better service to customers. And when you offer better service to customers, you gain an advantage over your competitors. But it’s not just the sales department that benefits from mobile business apps. Manufacturers, field service workers, quality assurance supervisors—they can all benefit from mobility, especially in the form of mobile business processes. Having processes, forms and data on hand-held devices means data gets into your system faster, workers are more efficient, and tasks are more convenient. It’s a win-win-win. Why do businesses have bad data? There are many reasons, but the biggest one is simply human error. Humans are humans, after all: sometimes we don’t pay 100% attention, or we forget details before we have a chance to write them down. Mobility can help reduce human error. Why? Because users can enter information right away, when it’s still fresh in their minds, right from a mobile device. This reduces the likelihood of human error, meaning your data will be cleaner and more reliable than it was before. Why does good data matter? Think about the movie Moneyball. On the surface, it was a movie about baseball. But the underlying message was that leveraging data, and taking opinion out of the equation, can lead to better business decisions (even if you don’t win the championship). When you have good, trustworthy data in your system, you’re equipped to make better decisions about your business. If the data is good, it will give you honest insight into your business. If the data isn’t accurate, you’ll be basing your decisions on a shaky foundation. Mobility might not take humans out of the data collection process altogether, but it can definitely reduce human-caused errors and help you make better decisions. Turning your business processes into mobile applications helps you do more, faster, and with better accuracy. 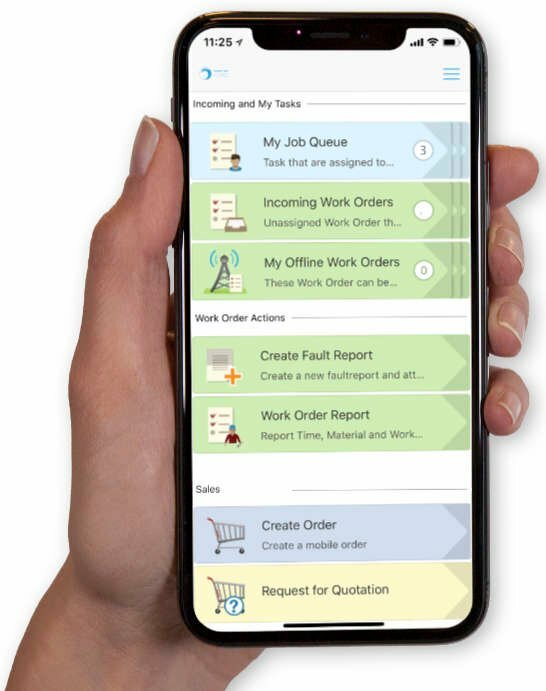 Novacura Flow helps you make your processes mobile. Want to see how it works? Sign up for a free demo. So, you've decided that you want to take your processes mobile. You've run the numbers, looked. There are some things ERP systems don’t do well: user-friendliness, for example. It’s not the. Back in the early days of the Internet, people used to build websites in Notepad. They would.